Gardening with toxic black walnut trees can be challenging, frustrating, and even cause serious doubt about one’s ability to garden. Although Black Walnut trees offer incredible deep shade from the Sun, they present a costly problem for many homeowners. Black Walnut or American Walnut trees are toxic to many plants grown underneath the walnut tree and surrounding garden areas. The native Eastern US Black Walnut tree secretes an organic compound called juglone that occurs naturally in the buds, nut hulls, and roots. Soil underneath the walnut tree canopy will have the highest concentration of juglone. A walnut root system can reach up to 80 feet in diameter and extend in the soil well beyond the walnut tree crown or drip line. Juglone, the toxic compound, comes into contact with other plants through the Black Walnut tree root system. Contact occurs with fallen decaying leaves, or rainwater runoff from walnut leaves. Contact also occurs by insufficient composting of walnut leaves, nuts, and hulls that is added to sensitive plants. In this case, the compost is not thoroughly decomposed to eliminate the juglone compound. Juglone has an allelopathic effect that stunts a plant’s growth or suppresses the growth of plants. Juglone sensitive plants will display distress signs of wilting, yellow leaves and stunted or slow growth. Due to the size of mature walnut trees, plants grown underneath or around the walnut tree will compete for light, water, and nutrients with the walnut tree itself. This allelopathic effect ensures that the Black Walnut Tree eliminates any competition with the surrounding plants so that it grows and thrives. Some ways to lessen the allelopathic effects from walnut trees in your yard, is to pick up walnut tree leaves, nuts, and hulls that have fallen around your yard. Compost walnut tree debris, keeping in mind that the juglone compound may take up to a year to decompose. Avoid using walnut debris as mulch or compost on juglone sensitive plants. Add high organic material to the garden soil to encourage microbial populations to break down and absorb the juglone toxins. Use plants around the walnut tree that are tolerant of the juglone compound. Some suggestions for planting around or near walnut trees are to create raised garden beds with lined bottoms. This prevents new plants from coming into contact with the Black Walnut tree roots and its soil. Add fresh soil from another source such as bagged topsoil or bagged compost then add your plants to the raised garden beds. The idea is to prevent the plant’s root system and fresh soil from mixing with the juglone soil of the walnut tree. It is a good idea to always add organic material to garden beds prior to planting new plants. There are products available on the market such as cow manure, peat moss, and others. Adding compost is best, if you have some handy. If you compost your yard waste, consider creating two composts – one dedicated for walnut tree debris and a second compost for juglone-free yard debris. Add yard waste that comes directly from the canopy of the Black Walnut tree and its surrounding area to the dedicated walnut tree compost. The compost should be enclosed rather than creating an open compost pile. This will ensure that the Black Walnut tree compost containing the juglone remains in a confined area. Add all yard waste such leaves, husks, roots, nuts, twigs, branches, and any other parts of the Black Walnut tree to the Black Walnut compost bin. Also add any other yard waste that may have come in contact with the Black Walnut tree or soil. This is yard waste that could potentially have juglone as well. Location of the dedicated walnut tree compost should be considered as well. A second compost, one that is “juglone-free” should be created away from the dedicated Black Walnut compost bin and tree if possible. The second compost can include any yard waste that has not been in contact with the Black Walnut tree, Black Walnut tree soil, or in the vicinity of the Black Walnut tree. Basically avoid any cross contamination between the Black Walnut juglone compost and the “juglone-free” compost. Exactly how long the walnut tree compost takes to break down the juglone is unclear. Some sources say a few weeks and other sources say a full year. 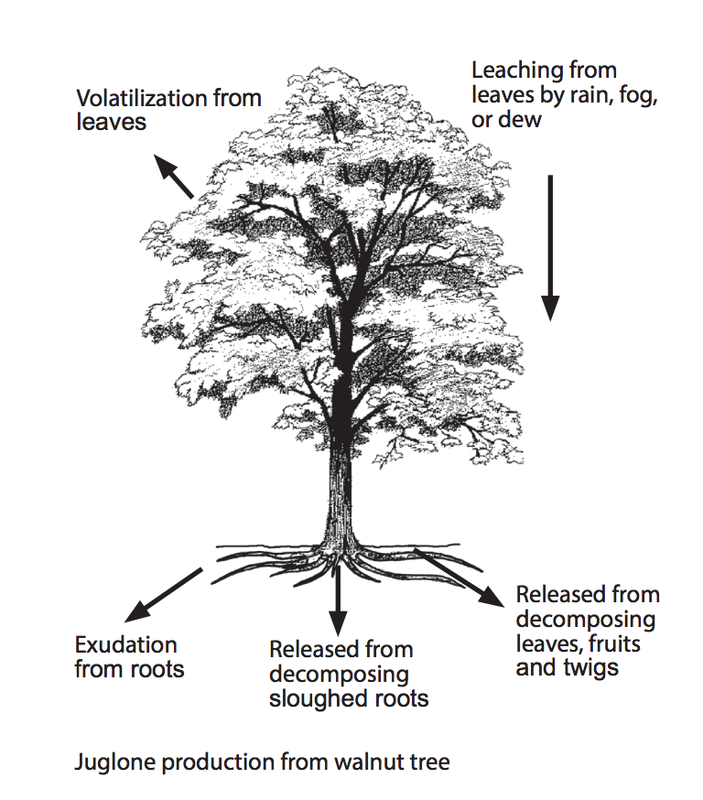 One source states that even with the removal of a walnut tree, toxicity in the soil can remain for many years with decaying tree roots releasing juglone. Another source states that the roots can release juglone for up to 7 years after removal of the walnut tree. Hmmmm. The roots and soil have the greatest concentration of juglone. Compost of walnut tree debris other than the walnut tree roots takes considerably less time to decompose and elimination of the juglone compound. To successfully grow plants below the walnut tree and the surrounding garden area, try to select plants that are tolerant of juglone. Select plants that have shown some level of success growing near and around walnut trees remembering that there are other factors to consider. Other factors such as the appropriate planting zone, sunlight requirements, watering requirements, and fertilization requirements are equally important. Proceed carefully and consider even taking notes along the way for future reference. For planting directly underneath a Black Walnut tree, consider using juglone tolerant plants that meet the sunlight requirements of the garden area. For example, if the canopy of the Black Walnut tree is completely shaded without any direct sunlight then select plants that are shade tolerant. If the canopy of the Black Walnut tree, has gaps or openings where some sunlight streams thru the canopy then consider plants that tolerant garden conditions that are part Sun and part shade. And as mentioned earlier, be sure to add some organic material to the garden beds before planting. The Black Walnut Society, Black Walnut Dispatch by Mary Gray of Burke, Virginia (outside of Washington, DC). Mary writes about her gardening experience with about a half dozen walnut trees in her yard and neighboring areas. The Morton Arboretum, Lisle, IL, Plants tolerant of black walnut toxicity. This article in particular, I found to be especially informative and helpful. A side note about The Morton Arboretum – the Arboretum was founded in 1922 by Morton Salt magnate Joy Morton. His inspiration came from his father, J. Sterling Morton (1832-1902), the founder of Arbor Day. The Native Plant Hearld, Prairie Nursery. Located in Westfield, WI. Bluestone Perennials, a nursery but also known as a plant candy store in Madison, Ohio. 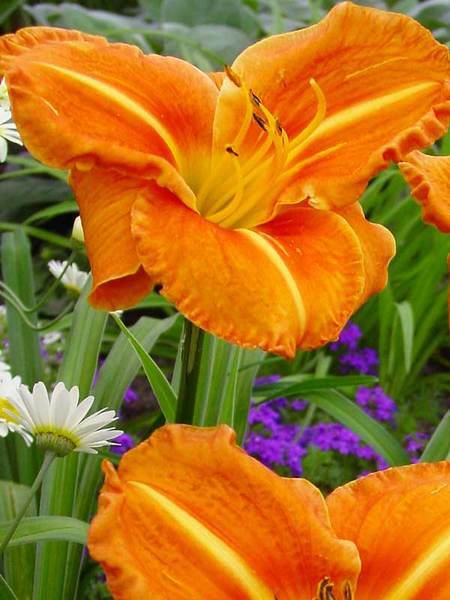 Bluestone has Hemerocallis – Daylily plants that can grow under Black Walnut trees. Proven Winners, a grower that sells to nurseries and to the public online, has an article titled “The Curse of the Black Walnut”. It includes some growing tips for plants around or near the Black Walnut Tree. At the bottom of the post, Proven Winners lists about 12 herbaceous plants and 9 shrubs that tolerate Black Walnut trees that they grow. 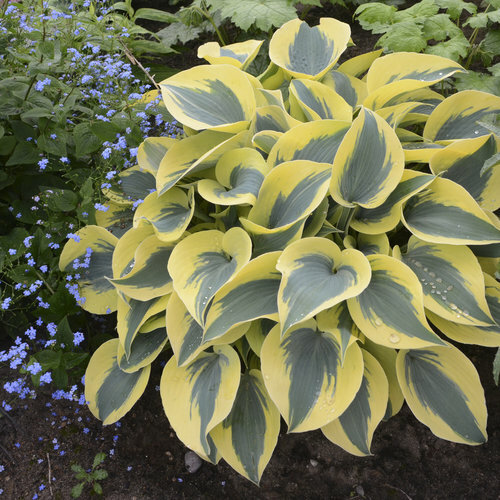 The list of herbaceous plants includes hosta, shasta daisy, bee balm, stonecrop, daylily, coral bell, and others. Each link will takes you to a list of plants that are juglone tolerant. New Moon Nursery, a wholesale company from Bridgeton, New Jersey, has an advance plant search. You can select Juglans nigra Tolerance (Black Walnut) in your plant search. 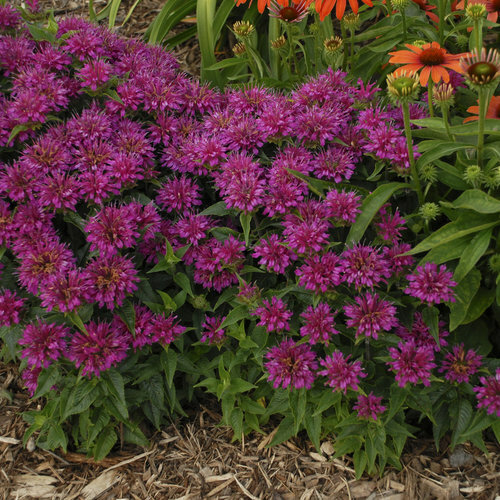 It lists Echinacea purpurea (Coneflower) and Lobelia cardinalis (Cardinal Flower) and a few other plants. You can either find a retailer that carries their plants or try to purchase them through your local garden center. 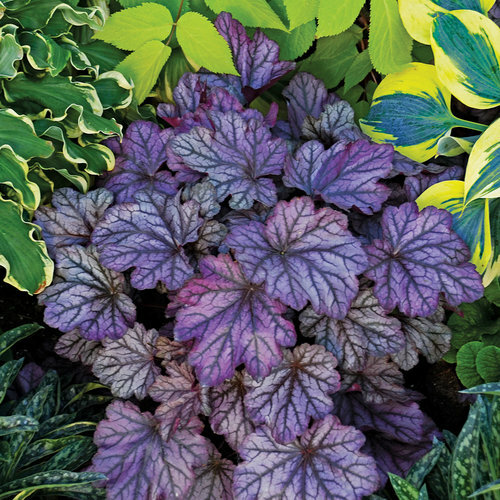 These are a few resources to help you select the right plants for your garden area. Always follow the grower’s planting instructions especially when considering the plant light and water requirements. Planting a perennial that requires full sun and wet soil conditions will most likely suffer being planted under a mature walnut tree where sunlight is greatly diminished and moisture is minimal. Every garden situation is different and even gardeners with many years experience in gardening can lose plants for a variety of reasons. For additional information on juglone tolerant and shade tolerant plants, see our post 23 Juglone Tolerant Shade Plants For Black Walnut Areas. Information on juglone tolerant and Sun loving plants, see our post 27 Juglone Tolerant Sun Loving Plants For Black Walnut Areas. 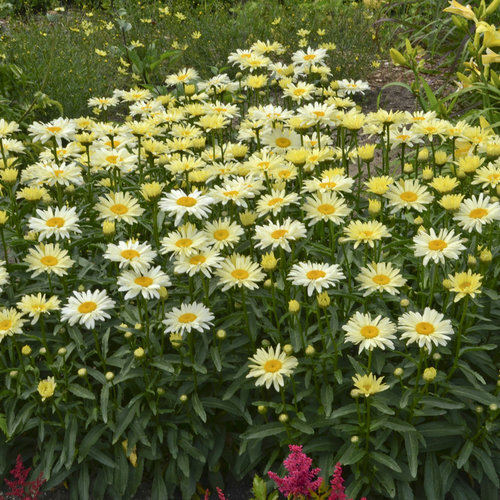 For information on Fall annuals to plant now, see our posts 8 Fantastic Annuals to Plant This Fall or for Spring blooming bulbs see 20 Sensational Spring Blooming Bulbs to Plant This Fall! If you have any questions, feel free to reach out to us in the comments below. We always are ready to help you out.